There’s a lot of conflicting information about credit scores on the internet. Even if you don’t research credit scores online, you can still get misinformation from well-meaning people in your life like your parents and friends who don’t fully understand how credit scores work. Should you carry a balance on your credit card? 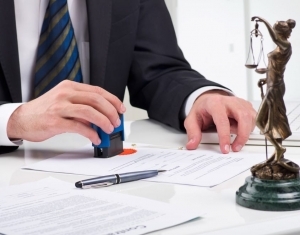 Should you take out a personal loan you don’t need? Should you close old credit cards? How hard is it to get a perfect score of 900? Depending on who you ask you could get two or more completely different answers. But credit scores aren’t complicated. Despite the fact that no one outside of the credit bureaus Equifax Canada and TransUnion Canada knows how they’re calculated, they’re actually not hard to understand. Your credit score isn’t for you. It’s for banks and lenders. You can have a high credit score and still be in financial trouble. You should never pay any interest you weren’t planning on paying. Doing things like carrying a credit card balance and taking out a loan might improve you credit score, but so does paying your credit card on time every month. The only thing you’re doing when you take out additional, unnecessary loans is throw your money away on interest charges. Don’t worry too much about your credit score. Focus on making good financial decisions, and your credit score will naturally go up. A credit score is a number (between 300 and 900 in Canada) that shows lenders how likely you are to pay back your debts. It has nothing to do with how much money you earn. A person with very little income can have an amazing credit score so long as they pay their bills in full and on time. And it’s not unheard of for “wealthy” people to declare bankruptcy which causes their credit score to plummet. Notice that your income, savings, assets, and even the amount of debt you have doesn’t matter. It only matters that you’re not using too much of your total available credit at any given time. That means you can have a large amount of debt (like a mortgage) and still have a great credit score. It also means that having a large asset (like home equity) doesn’t result in a higher score. How important is the number? Many people think that a higher score is always better, and if their score drops a few points it can have disastrous consequences. However, that’s not the case. 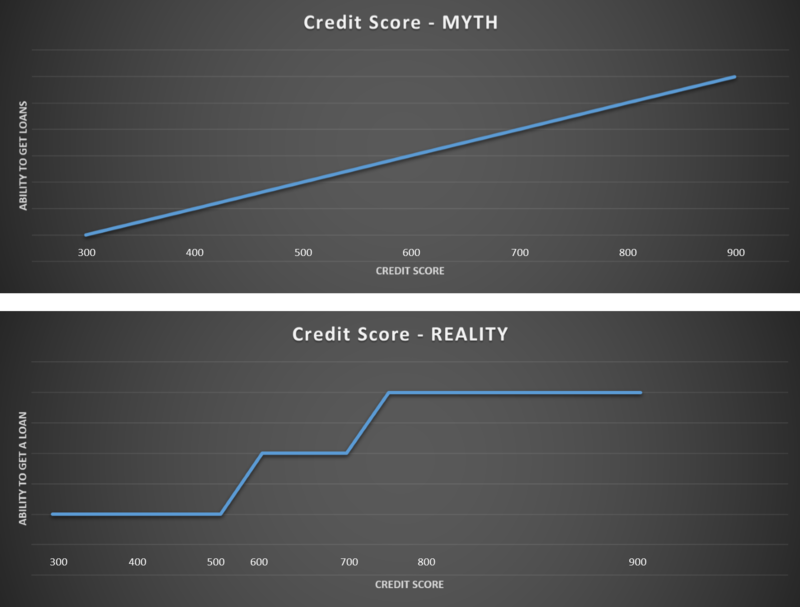 Credit score is not a linear progression. 900 isn’t better than 800. Actually, there’s no difference between 800 and 900 except the number. You’d get the best mortgage rates at either score. Credit score goes up in steps, not in a line. And it doesn’t go up evenly, either. If your score is below 550, you’ll have trouble getting a loan, and the ones you do get offered will have high interest rates. Above 550, you’ll find it progressively easier to get loans, and at about 760 you’ll reach the ceiling. Small changes to your credit score month-to-month are normal and expected. Unless your score drops by dozens of points at once, you shouldn’t worry too much about dips. Your credit score is just to give lenders an indication of how likely it is you’ll pay back your debt. At any credit score, there’s a risk of delinquency or default. Delinquency is missing a payment by a certain number of days (usually measured in multiples of 30), while defaulting on a loan means that you don’t make a payment at all. Defaulted loans can be sent to collections, which means the lender sells the debt you owe them to someone else, who then will try to get it from you. Since lenders know that a portion of all loans will never get paid, they charge interest based on how likely a loan is to be repaid. Higher credit scores have lower risk of delinquency or default, so they charge less interest. At lower credit scores, interest rates are much higher because there’s a larger risk of never getting their money back. 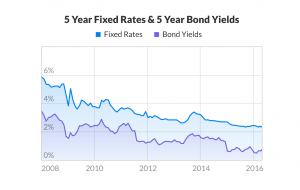 The higher interest rates help mitigate their losses. 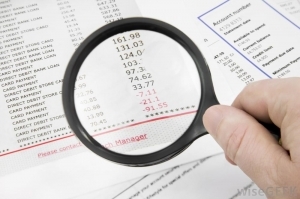 Sometimes non-lenders will want to take a look at your credit report. For example, landlords like seeing a high credit score because it shows that you’re responsible with money. When looking for place to rent, having a high credit score can help your chances. If your credit score is really low, lenders might decide you’re too risky to lend to, so you’ll have trouble getting a mortgage, loan, or credit card. If you can’t make your payments at all, get in contact with your creditors as soon as possible. Why is it so important to make your payments in full and on time? Your credit score isn’t affected by how large your payments on your debts are, only that you pay the minimum by the due date. In fact, your creditors would prefer if you didn’t pay your debts in full because then they can charge you interest. Making payments on time improves your credit score, and making payments in full saves you money in interest. For credit cards, if you make your payments in full every month, you’ll never spend a dime on interest charges. If you can’t pay in full, you can still make a partial payment and preserve your credit score. Your minimum payment is the least amount of money you can pay to avoid being considered delinquent. As long as you pay as much or more than your minimum, your payment history will remain spotless. That’s why I suggest you at least make the minimum payment on your credit card if you absolutely cannot afford to pay the full balance. The lower your credit utilization, the better. Your credit score takes into account both the utilization of all your products and the utilization of each one individually. If you had 3 credit cards, with limits of $1,000 each, and spent $1,000 on one, your overall utilization would be low, but one card’s utilization would be high. If you spread out your spending over all 3 cards, your combined utilization would be high even though your individual utilization is low. The best way to keep your utilization low is not to spend more than you can afford to pay off. If it’s unavoidable, try to use your lower interest products before your higher interest products. That will help avoid paying too much in interest. 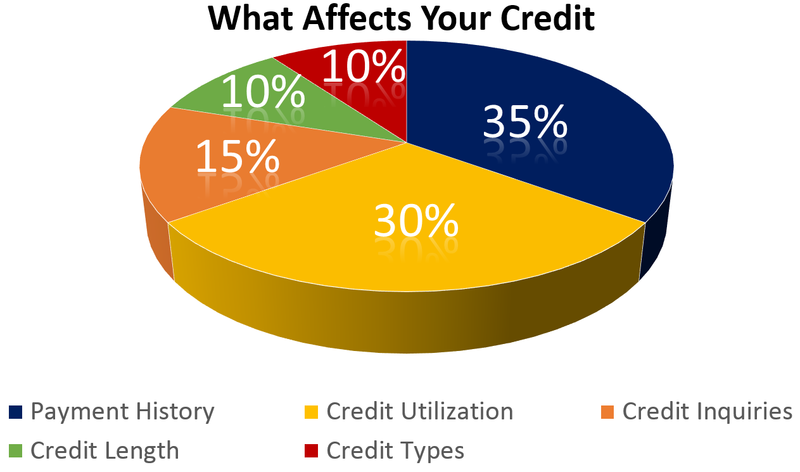 Unlike every other factor, credit utilization has no memory. If you have high utilization one month, but pay it off the next, it will immediately stop affecting your credit. You can boost your credit score by several points quickly this way. Whenever you apply for a credit product, the lender will perform a “hard pull” on your credit. Unlike a “soft pull,” which doesn’t affect your credit, a hard pull will drop your score by a few points. If there are many hard pulls in a short amount of time, your score can drop by quite a lot. The good thing is that your score recovers quickly after a hard pull. The effects of a credit inquiry began to fade off in just a few months. The inquiries remain on your report for longer, but stop affecting your score after about half a year. The longer you have a credit account open, the better. Having an open credit account means that the lender has faith in you paying your debts. If you regularly miss your payments, your lender can close the account. For some products, like a line of credit, the bank can “call” it (ask for it to be paid in full) at any time, even if it is in good standing. This might happen after they learn of a job loss, for example, and they’re worried that you won’t be able to pay them. Because some people are aware that having credit for a long time is better, they may think that they should never cancel an old credit account. My advice is that it’s generally fine to keep open no-fee accounts, but it’s not worth to pay for cards you don’t use. 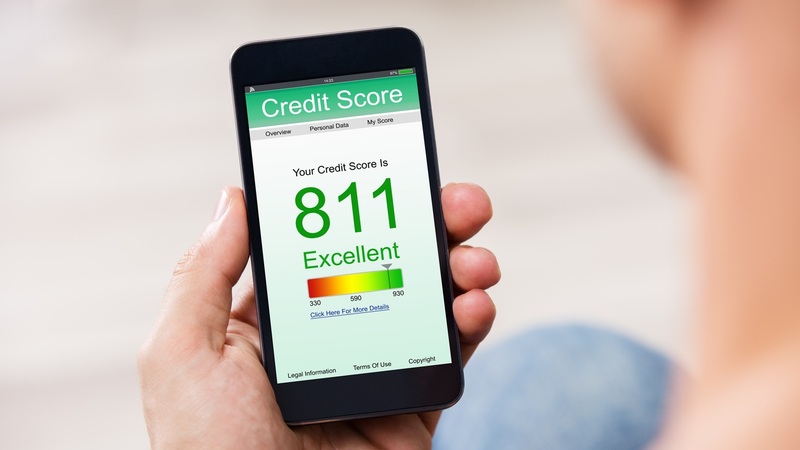 Length of credit is only a small portion of your overall score. Cancelling a card, even if it’s your oldest card, won’t drop your score by a lot – and since credit score works off tiers rather than linearly, a drop of a few points can have literally no effect on your ability to get loans. Remember how I said earlier that credit score is for the banks, not you? This is a prime example. If you have multiple types of credit, it’s more likely that you’ll use them. Someone with just one credit card can only ever use that credit card. Their ability to pay the bank interest is limited. Someone with a mortgage, 5 credit cards, a line of credit, and a car loan are paying interest on a variety of products, which makes the bank happy. So their credit score goes up a little bit to let them get other products more easily. If you never pay interest, you’re worth less to the bank than a customer that does. Why extend credit you’re not likely to use? It costs them money to set up the account for you (in the form of employee salaries), and they want to see a return on that investment. Typically, it’s absolutely fine to have as many no-fee accounts as possible. They’re there if you need them and they don’t cost you anything. However, if you have too much credit, that may set off alarm bells. You could decide to max out all your lines beyond your capacity to repay them and then no one gets their money back. You can check your credit score for free online at sites like borrowell.com or creditkarma.ca. Should I carry a balance on my credit card to increase my score? No! Carrying a balance does not help your score. It actually hurts it because of credit utilization – and you have to pay interest too. Does cancelling an old card hurt my credit score? A little bit, but it’s much worse to be paying for a credit card that you don’t use than it is to lose a couple points. I always say there’s no reason to cancel a no-fee credit card, so long as you can control your spending. Should I get a loan I don’t need to build credit? My first recommendation would be a secured credit card, rather than a loan. A secured credit card requires a cash deposit, but can be used interest-free as long as you make your monthly payments on time. Is having 3/4/5 credit cards hurting my credit score? How many credit cards should you have? The best number of credit cards is however many you need to maximize your rewards without spending too much in annual fees. If you have trouble with overspending, then you should limit your total number of credit cards.